If you missed out on the chance to catch Tokujin Yoshioka’s modern, all-glass interpretation of the Japanese-style tea house during its Kyoto installation between 2015 and 2017, good news: it’s making a comeback. The iconic structure by world-famous artist and designer Yoshioka is scheduled to tour Japan until 2020, starting with a show at the Saga Prefectural Art Museum from November 28, 2018 to February 11, 2019. Made entirely from transparent glass, this spectacular structure is not just a modern take on the much-loved Japanese tea ceremony; it's also a statement to re-examine traditional Japanese customs, traditions and heritage and contemplate their place in today’s world. Unlike its former outdoor placement on the deck of Kyoto’s Seiryu-den, which belongs to the Shoren-in temple, the Saga Prefectural Art Museum will showcase the ‘Glass Tea House Kou-an’ as an indoor light installation instead. 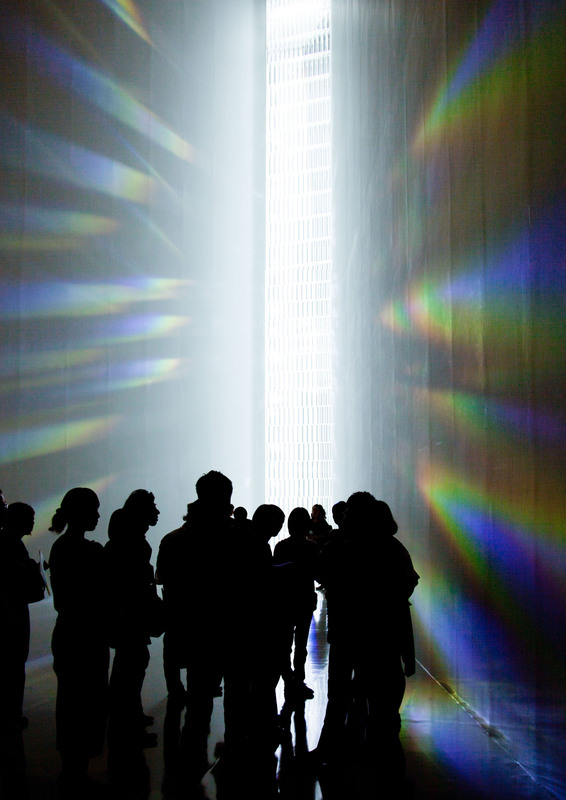 Light is another signature element Yoshioka often uses in his designs, for instance the prism-themed installations Ray of Light (2013) and Rainbow Church (2013-2014). Additionally, the current showing will be accompanied by some of Yoshioka’s older works, including the Water Block (2002), a glass bench which is on permanent display at the Musée d'Orsay in Paris, and the Waterfall (2006), a glass table. You can look forward to exciting new ideas, which combine traditional Japanese elements with contemporary designs in an extraordinary, futuristic setting. For those who can’t make it to Saga in the coming months, there is no need to worry. The ‘Glass Tea House Kou-an’ will make its way to Tokyo next year, and we will keep you updated with the details once they are announced.